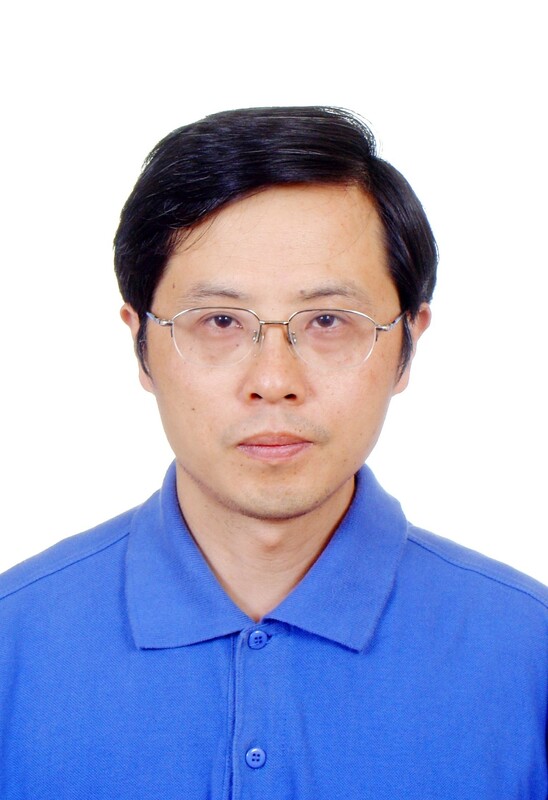 Prof. Han focuses on experimental and theoretical research on molecular reaction Dynamics and highlights synergy of theories and experimental practice. His research interests cover cutting-edge and heated topics in chemistry, physics, biology, materials and other fields with emphasis on interdisciplinary connection. Theoretical calculations and experimental practice are what he relies on in conduct of researches. To be specific, theoretically, the research is equipped with independently-developed kinetics computation programs and various internationally-accepted theoretic chemistry calculation software as well as robust supercomputing hardware resources; while experimentally, it is provided with diversified internationally-advancedexperimental apparatus, such as femtosecond ultrafast laser aids, time-of-flight mass spectrometry, laser-induced fluorescence spectrum and self-developed transient absorption devices, Currently, Prof. Han is working on researches on attosecond resolution quantum dynamics, excited-state hydrogen bond kinetics in photochemistry and photobiology, nonadiabatic quantum dynamics in chemical reaction, fluorescent probe and chemical sensor & biosensor, important reaction mechanism for biological enzyme and computer-aided drug design, photolytic kinetics for atmospheric and environmental chemistry, hydrogen generation by photocatalytic water decomposition and kinetics related to solar cells, preparation of general procedures for atom and molecule physics research in high intensity laser field as well as development of quantum chemistry procedure package for excited-state calculation of macromolecular system, etc. 1. Lou, Z.; Li, P.; Han, K. Accounts of Chemical Research 2015, 48, 1358. 2. Deng, W.-Q. ; Sun, L.; Huang, J.-D.; Chai, S.; Wen, S.-H.; Han, K.-L. Nature Protocols 2015, 10, 632. 3. Yu, F.; Li, P.; Wang, B.; Han, K. J. Am. Chem. Soc. 2013, 135, 7674. 4. Fu, Y.; Jia, G.; Pang, X.; Wang, R. N.; Wang, X.; Li, C. J.; Smemo, S.; Dai, Q.; Bailey, K. A.; Nobrega, M. A.; Han, K.-L.; Cui, Q.; He, C. Nature Communications 2013, 4. 5. Chen, J.-S.; Zhao, G.-J. ; Cook, T. R.; Han, K.-L.; Stang, P. J. J. Am. Chem. Soc. 2013, 135, 6694. 6. Zhao, G.-J. ; Han, K.-L. Accounts of Chemical Research 2012, 45, 404. 7. Yang, S.; Liu, J.; Zhou, P.; Chen, J.; Han, K.; He, G. Journal of Luminescence 2012, 132, 2275. 8. Yu, F.; Li, P.; Li, G.; Zhao, G.; Chu, T.; Han, K. J. Am. Chem. Soc. 2011, 133, 11030. 9. Song, G.; Chen, D.; Su, Y.; Han, K.; Pan, C.-L.; Jia, A.; Li, X. Angewandte Chemie-International Edition 2011, 50, 7791. 10. Li, D.; Huang, X.; Han, K.; Zhan, C.-G. J. Am. Chem. Soc. 2011, 133, 7416. 11. Song, G.; Su, Y.; Periana, R. A.; Crabtree, R. H.; Han, K.; Zhang, H.; Li, X. Angewandte Chemie-International Edition 2010, 49, 912. 12. Li, A.; Lu, R.-F.; Wang, Y.; Wang, X.; Han, K.-L.; Deng, W.-Q. Angewandte Chemie-International Edition 2010, 49, 3330. 13. Zhang, X.; Chi, L.; Ji, S.; Wu, Y.; Song, P.; Han, K.; Guo, H.; James, T. D.; Zhao, J. J. Am. Chem. Soc. 2009, 131, 17452. 14. Song, P.; Sun, S.-G.; Liu, J.-Y. ; Xu, Y.-Q. ; Han, K.-L.; Peng, X.-J. Spectrochimica Acta Part a-Molecular and Biomolecular Spectroscopy 2009, 74, 753. 15. Lu, R. F.; Lu, Y. P.; Lee, S. Y.; Han, K. L.; Deng, W. Q. Nanotechnology 2009, 20. 16. Hu, J.; Han, K.-L.; He, G.-Z. Physical Review Letters 2006, 97. 17. Chu, T.-S.; Zhang, Y.; Han, K.-L. International Reviews in Physical Chemistry 2006, 25, 201. 18. Hu, J.; Han, K. L.; He, G. Z. Physical Review Letters 2005, 95. 19. Ke-li. Han, Guang-jiu Zhao, Hydrogen Bonding and Transfer in the Excited State(I, II), A John Wiley and Sons, 2010, Britain. 20. Ke-li Han, Benfan Sun,Potential Energy Surface and Molecular Collision Theory, Jilin University Press, 2009, China. 21. Keli-Han, Tianshu Chu, Reaction Rate Constant Computations, RCS Press, 2013, Britain. 22. Keli-Han, Xin Zhang, Ming-jun Yang, Protein Conformational Dynamics, Springer Press, 2014,New York.